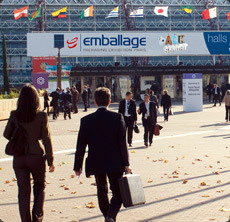 “PACK INNOVATION”—almost 100 innovations, proposed by the exhibitors and selected by experts, will be presented. “PACK VISION”—conferences, a place for professionals from around the world to meet and swap ideas on design, market innovations, end-user segment initiatives. “PACK DESIGNERS”—space to highlight the marketing, technical and economic roles of packaging design. This entry was posted in flexible packaging, labels, paper/paperboard/cartons, sustainability and tagged converting, flexible packaging, labels, packaging, paperboard packaging, plastic film. Bookmark the permalink.